What if You Treated Your Office Like a Hotel? What if You Treated Your Office Like a Hotel (Without the Bedrooms)? 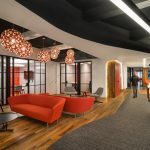 This article, by Tom Miller of Darwin Branded Environments, originally appeared on the DBE blog, Darwin’s Corner, on May 21, 2014. I know it sounds crazy, but think about it for a bit. 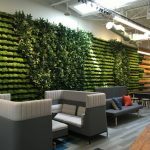 You may begin to see that we can learn a lot from taking a hospitality focus in our office space. When you go to a hotel, you’ve more than likely selected one for a specific reason: convenience of location, price, amenities, food, a good night’s sleep, exercise room, and so forth. And, of course, it doesn’t hurt to be warmly welcomed upon arrival. In fact, many of the amenities found in even budget priced hotels might make sense incorporating into your office space plans. For example, an onsite gym keeps your staff exercising without the hassles of driving to the health club, and healthy employees tend to be more productive in all aspects of their life. Your employees are the drivers of business success. A little TLC won’t hurt. First, let’s acknowledge that employees are a huge reason for the success or failure of a company. Ignore their wishes at your peril. At one business we interviewed the office staff, and they uniformly answered the question, “How do you feel when you walk in the office door in the morning?” in a remarkably consistent way: “Stressed out. Exhausted. Frustrated. Irritable.” Not a good way to begin the day. The cause for feeling like this first thing in the morning: Chicago traffic, and a commute that normally takes 30 minutes but at times turns into 90+ minutes in heavy traffic. My guess is that you wouldn’t want these people interacting with clients (or other staff) until they calmed down a bit. The point is, going to work is a big switch, even if you have a relatively easy commute. It means putting your game face on, jumping back into the business fray, and trying to keep a positive mental attitude throughout the day. I wonder if that stressful feeling might dissipate a bit faster if your staff dropped their gear, went into the company café, and made a cup of tea, or coffee, grabbed an apple or a banana, and spent the next five or ten minutes talking — decompressing — with colleagues before getting down to answering all those customer email and phone inquiries? What would happen if some of these staffers checked the traffic report and heard about a back-up, and thus waited an hour or two at home before fighting the traffic? Maybe they could open up their laptop and start taking care of those customer requests. It would certainly be more productive that sitting in a car, fuming. Or, I wonder if that stressful feeling might dissipate a bit faster if your staff dropped their gear, went into the company café, and made a cup of tea, or coffee, grabbed an apple or a banana, and spent the next five or ten minutes talking — decompressing — with colleagues before getting down to answering all those customer email and phone inquiries? Notice even in value-priced hotels like The Hampton Inn, the greeting is gracious, there’s always free refreshments on hand, and they go out of their way to take some of the stress and pressure of the day off your shoulders. The point is that little things do matter. We all like to be treated as colleagues, not cogs in a wheel. While visiting one office recently, the president said that he didn’t see why he should have to replace the furniture and clean the space up a bit: “My customers don’t visit us, so why should I invest the money?,” he asked. Interesting perspective. Our (not very diplomatic) response was that there was nothing for a customer to gain by visiting because there was nothing to learn from a visit. I don’t know about you, but I’d be pretty proud to bring customers into a space that is clean, well-thought-out, filled with energetic, engaged people who exude a positive vibe. Now that makes a lasting positive impression on clients. Who knows, they might want to visit more often. Oh, and by mixing clients with staffers, you create the potential for employees to become HUGE BRAND ADVOCATES for your company. By mixing clients with staffers, you create the potential for employees to become huge brand advocates for your company. At another business, the CEO told the following story: one of their clients would drive three hours each way to visit their offices two or three times a month. Nancy, their client, claimed that the time she was at her supplier’s offices were the most high energy, productive, inspirational time for her, and she made frequent use of their office space. Nancy would camp out in the “Library” and have the whole room to herself. A tea drinker, she was kept well-stocked with tea, lunch, snacks — whatever she needed. When Nancy left for a new position, they celebrated her promotion with a nice dinner, and presented her with a “Lifetime Library Card.” Needless to say, Nancy is a huge brand advocate for the firm. The lesson here is that when you treat customers like the valued guests they truly are, they will return the loyalty, and visit more often. For starters, “vendor” feels like a dismissive term. Increasingly, companies that work the closest, in a collaborative spirit, with their clients are the ones that end up adding the most value. If you treat vendors like vendors, they will continue to act like transactional agents rather than value adding equals. Another thing to keep in mind: your suppliers visit a lot of other companies, including your competitors. And they talk. If they’re treated with respect, and recognized for the value they bring to the table, then they’re on the road to being brand ambassadors for your business. One company we know insists that whenever a “vendor” takes them to a lunch, dinner, or an event, the next time, the company takes the supplier. It sends a very effective message that “we’re in this together,” sharing on the upside and downside. It is a relationship of equals. Suppliers can be — and should be — treated as valuable brand ambassadors in the making. If your offices are dingy, and they’re treated like second-class citizens, word gets around. Likewise, when you treat them like you would a customer or staffer, you’re on the road to developing even more ambassadors for your brand. When people enter your business — employees, customers, suppliers, interviewees, whomever — you’re automatically in the hospitality business. This is your chance to shine. Doing the “same old, same old” will not advance the cause of building your brand and your business.